14:30-14:50 Take a walk with the Finntwins: What do the Finntwins tell about the causes and consequences of obesity? 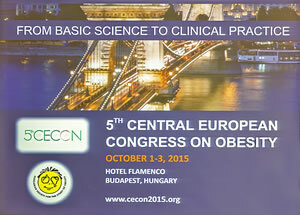 15:05-15:20 Metabolically healthy obesity: Does it exist? 15:20-15:35 Obesity management dilema: Should we focus on body composition or general health? 18:15-18:23 Omega 3 fatty acids augment beneficial effects of calorie restriction in mice – induction of the futile substrate cycling in white fat.